It is an honor and a privileged to be part of the Theological University of America. I really enjoy the programs and all the opportunities that are available to make the ministry better. In my 24 years of experience in the ministry field, I‘ve had never had an opportunity like this one. I want to take the opportunity to appreciate the Theological University of America for helping me to achieve my goals and also for helping me to grow in my theological education development. All I want, is to glorify our Lord and Savior with my ministry. Our brother Edgar Lucero is 40 years old and he was born in Cd Juarez, Chuhuahua Mexico. He has 2 precious kids: Edgar jr 20 years old and Gabriela 16 years old. 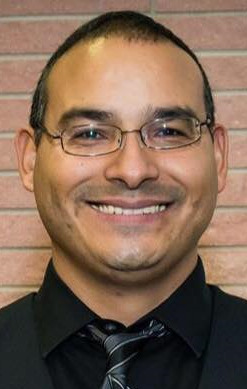 He has been invited to participate in Gospel meetings, seminars, lectureships, and Teen Our brother and his family were working full time in the Hispanic ministry at South College Church of Christ in Tahlequah, Ok for twelve years. Our brother Edgar is currently working full time at Saturn road Church of Christ in Garland TX as a Hispanic minister since August 2016.